When Emirates Flight EK203 landed at New York’s John F. Kennedy Airport last September, it did not proceed to its scheduled gate. Arriving with a number of sick passengers, the plane was instead quarantined in a designated area on the airfield. All on board were screened, with those who were sick transported to nearby hospitals. The whole operation was overseen by the Centers for Disease Control and Prevention, which for years had been preparing a “safety net” for just such a situation. Commercial air travel poses challenges when it comes to containing the spread of infectious disease. 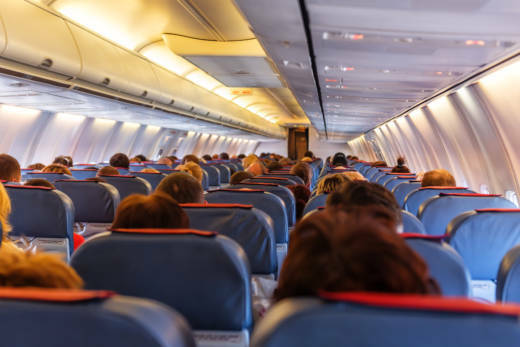 In order to get from one place to another by plane, travelers must expose themselves to many germ-covered surfaces and put themselves in close proximity to many people — some of whom could be sick. In the video above, STAT looks at where air travelers are particularly susceptible to picking up a bug and what protocols the CDC has in place to control the situation in the event an illness does start to spread on an aircraft.